Phathalate free Plast on Cotton. 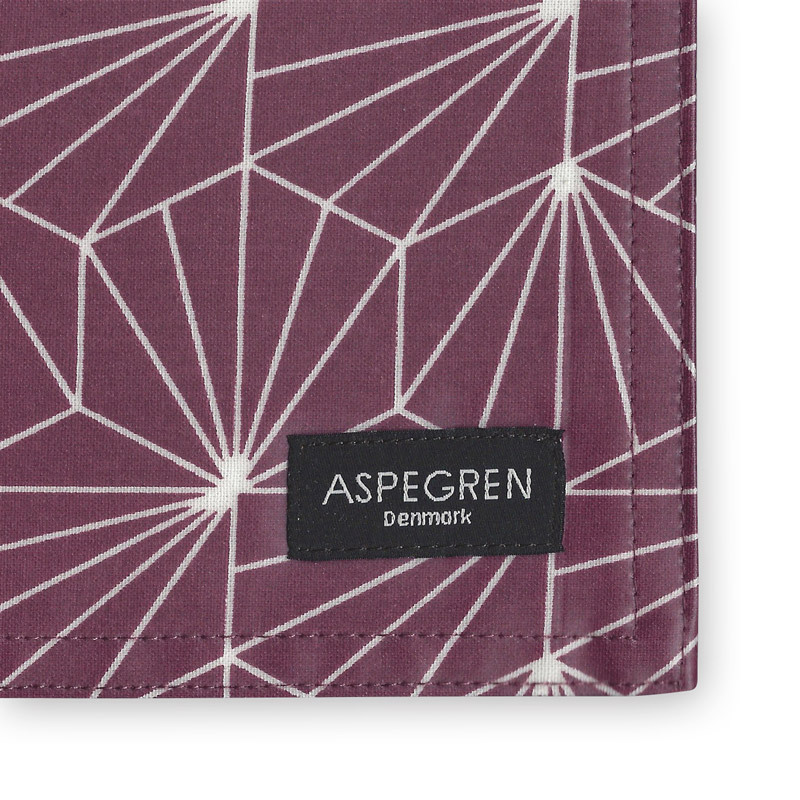 This handy placemat is made of high quality and Aspegren Denmark usual great design and quality. Do not stress children or guests who waste on the placemat it is completely waterproof and keeps many times use. An oilcloth does not stand for anything. Food and drinks can be easily wiped off. But ballpoint pen, lipstick, nail polish, shoe polish and the like are virtually impossible to wash off. Some kind of tomato and curry sauces etc. can also leave stains. Dry off immediately with a damp cloth. 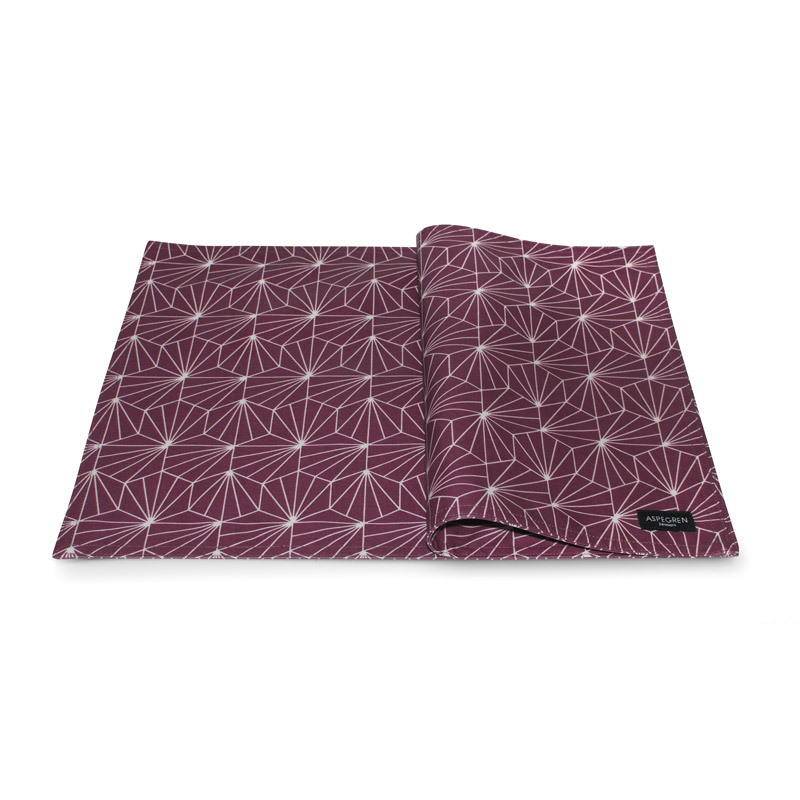 Placemat Design Aspegren Shell Ruby Red.